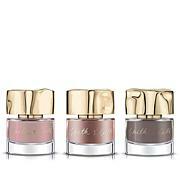 A trio of lovely seasonally hued nail lacquers. First apply Basis of Everything which is our Base coat (sold separately). 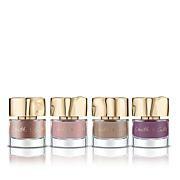 Apply any 3 of the shades to your nails then finish with our top coat, Above It All (sold separately). This item is not for sale to customers in Guam, Puerto Rico or the Virgin Islands. It cannot be shipped to a P.O. Box. Orders must have a physical address. I thought this polish was gel, but my manicures too me it wasnt, however it lasts up to 3 weeks or more depending how much you do, clean without wearing rubber gloves, which I rarely use. It's a bit pricey, but I'm for glamour and flaw!!! I was so excited to get these but I'm disappointed. None of the colors look like they do in the pictures. It took two coats to cover. It doesn't dry quickly or last more than a day or two. I'm returning it. I wouldn't recommend it. An expression of unrefined thoughts and feelings, Smith & Cult was born to represent the duality we all inhabit throughout our lives. Formulated to deliver consistently flawless, smooth coverage in an “8-Free” formula, their expressive nail lacquer shades are designed and inspired by where we’ve been, who we are and who we aspire to become. Be the beauty guru and heroine of your own narrative through a lens of color with Smith & Cult. Remind me about Smith & Cult upcoming shows. 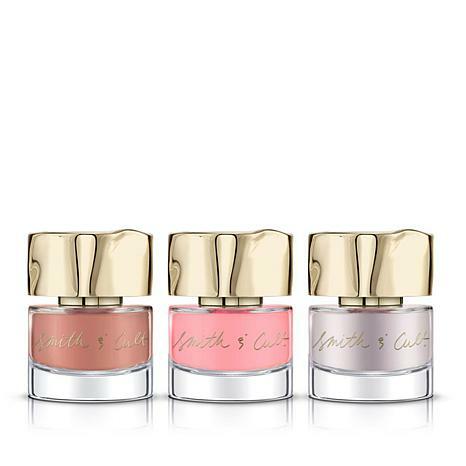 What It Is A collection of perfectly paired nail lacquers in soft summer shades. What You Get .46 fl. oz. Nail Lacquer - Go Go Geisha (antique blossom pink) .46 fl. oz. Nail Lacquer - Watermelon (juicy red) .46 fl. oz. Nail Lacquer - Guilty Pleasures (pink strawberry) .46 fl.